Probably smart on ericsson's part. But can Sony really do something with it? Sony has released a press statement which announces Sony's purchase of Sony Ericsson. Before today, Sony has owned 50% of Sony Ericsson while Ericsson has held the other 50%, making Sony Ericsson a joint operation of Sony and Ericsson. The price of the acquisition is €1.05 billion ($1.475 billion) in cash. Sony has not revealed whether they will keep the Sony Ericsson brand around or just brand products as Sony from now on. Update: Future products will be branded as Sony. A brief history lesson: Sony Ericsson was founded in 2001 by Sony and Ericsson (obviously). 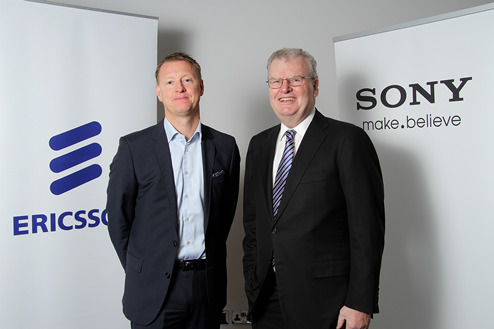 The aim of Sony Ericsson was to combine Sony's experience of consumer electronics with Ericsson's knowledge of telecommunications. Sony Ericsson is mostly known for their mobile phones, such as the Walkman brand. However, Sony Ericsson has lost a lot of their market share during the era of smartphones. In Q3'08, Sony Ericsson had over 8% market share but in Q2'11, their market share had dropped to below 2%. The acquisition makes sense considering that Sony makes a variety of consumer electronics. In August, Sony announced their plans to enter the tablet market. Given that Sony's tablets run Android and so do Sony Ericsson's smartphones, this purchase allows Sony to develop their ecosystem even further. Sony is a major player in TV and PC market, hence they have the possibility to create an Apple-like ecosystem (sans the OSs), which has been proven to be very successful if you look at Apple's quarterly profits. What is certain, though, is that the smartphone market is extremely competitive at the moment, meaning that it won't be easy for Sony to gain market share.